A large group of scientists teamed up together to develop durable and extremely lightweight ceramic material, which eventually could be used as insulation. Particularly, the ceramic aerogel could be used to protect spacecraft from burnup, being capable of withstanding extremely hot temperatures which occur on launching spacecraft into space as well as re-entry into the Earth‘s atmosphere. To develop this extremely lightweight ceramic material UCLA-based researchers collaborated with scientists from eight other research institutions. Scientists have used ceramic aerogel to insulate various equipment since the 1990’s, but none has been lightweight enough to be used to withstand the effects of our and other atmospheres during spacecraft launching and landing. Their findings were published in the journal Science. Being so durable, this featherweight ceramic aerogel could be used for future NASA Mars landing missions. It has a unique atomic composition and structure which can make it extremely elastic, so that when it is heated up, it doesn’t expand like other ceramics, but contracts. With this microscopic structure, scientists created flexible material which won’t deteriorate as fast as other aerogels. The structure of aerogels would surprise many, given that 99% of the lightweight ceramic material’s volume is air. The scientists said that the material can be made out of many types of materials – ceramics, carbon or metal oxides. 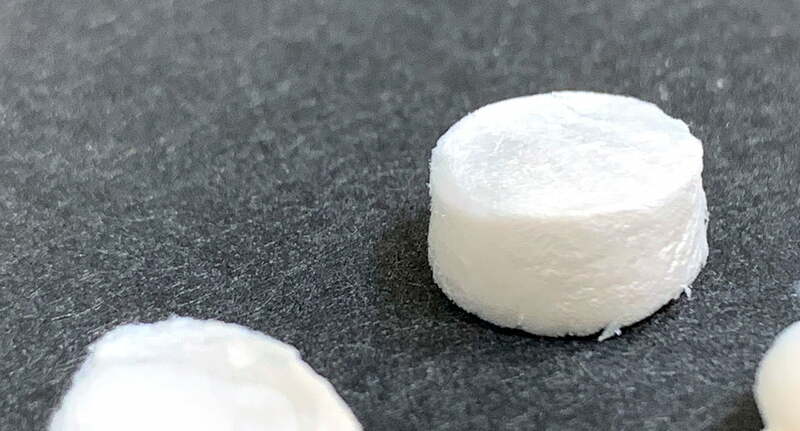 However, ceramic-based aerogels are better at blocking severe temperatures than others, while their ultralow density makes them lightweight and resistant to fire and corrosion. Traditional ceramic materials that are exposed to extremely high temperatures become stretched and expand, and once the temperature cools down they contract. The team was after something that adapts to the temperature changes without stretching its shape, and the extremely lightweight ceramic material is capable of that. Instead, this aerogel does the opposite from traditional ceramics, it contracts when it is heated up to severely high temperatures. Scientists compared the aerogel’s property of contracting towards the direction of its compression to pressing a tennis ball and the center of the ball moving inward rather than outward. That contraction helps it survive quick temperature changes. The property is scientifically known as the Poisson’s ratio. Duan added that the process the team used to develop this lightweight ceramic material can be used to develop other ultra-lightweight materials to be used in scientific research. Another interesting science development was made recently by a team of scientists who developed an ultra-lightweight fabric which has chemical properties that allow the body to heat up and cool down based on the environment. This interesting approach, if it enters mass production, would allow us to wear smart clothes in the future, which would easily adapt to rapid temperature changes and seasonal transitions without having us spend loads of money on clothes.